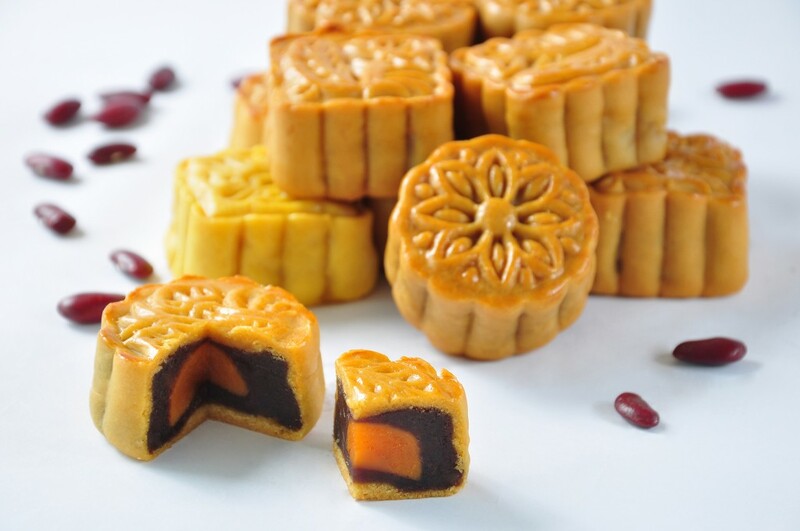 Chatrium Hotel Riverside Bangkok invites you to celebrate the auspicious Zhong Qiu Jie, or Mid-Autumn Festival, in the sweetest way possible with some absolutely delectable traditional homemade Moon Cakes. The Mid-Autumn Festival is celebrated in a number of Asian countries and is one of the most important events on the cultural calendar. The three central tenets of the festival are gathering, where relatives and acquaintances come together, thanksgiving to give thanks for a bountiful harvest and praying for happiness and good fortune for families, friends and business associates. It is traditional on this occasion to give the gift of Moon Cakes and Chatrium Hotel Riverside Bangkok’s Executive Chef Yang En Chung and his team have created a deliciously moist homemade selection filled with custard, lotus seeds, red beans and durian presented in a charming box set to give to those nearest and dearest to you as well as a mark of respect to those involved in your business dealings. 1 box (4 moon cakes) is available at the Lobby Lounge from 15 August to 15 September 2016 and priced at THB 320 net. Please call Chatrium Hotel Riverside Bangkok on 0 2307 8888 ext. 1921 for further information.